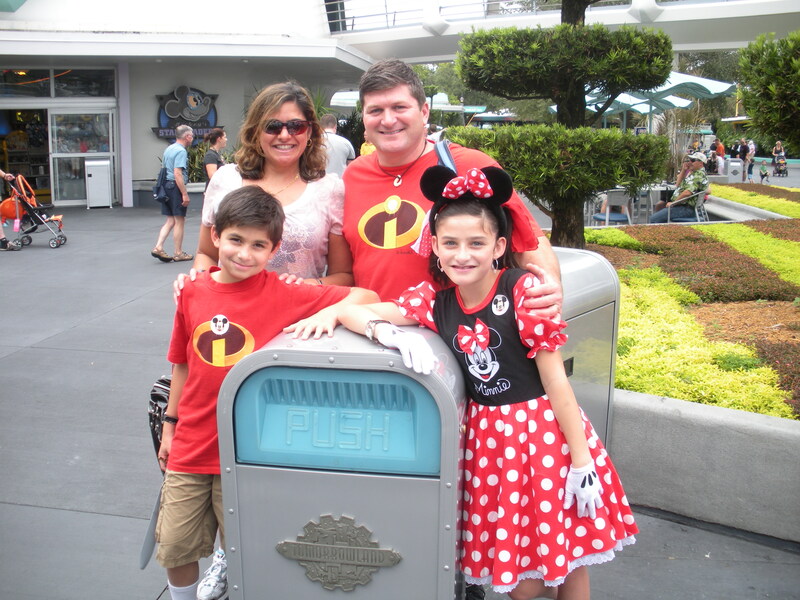 Push is the only trash can I know that inspires family photos! Sad news for lots of families out of Tomorrowland today. Just 72 hours after saying talking trash can “Push” wasn’t going anywhere, Disney brass today acknowledged that Push has indeed been removed after a failed contract dispute over intellectual rights with Push’s creator Real Simple Ideas. Push had become an unlikely icon of Tomorrowland, and for 19 years he’s been wandering up and down the byways of that side of the Magic Kingdom talking, telling jokes, and getting entire groups to dance like no one was watching. Who would have guessed a silver and blue little trash can could bring so much delight? I was struck by the humor and irony of it all 3 or 4 years ago when looking at vacation photos of the Magic Kingdom. There was my beautiful family, all smiles, crowded together for a frame-worthy family photo—clustered around a trash can. We weren’t alone. Push has become so wildly popular that as soon as rumors started circulating about the possible loss of the little can who could, online protests, Twitter campaigns and “Save Push” Facebook pages began popping up. Search #SavePush and you’ll get a glimpse of the little guy’s popularity. And why not? One of the reasons we love going to WDW is the fact that we get to check reality at the door and behave like innocent little kids again. And what could be a better example of that than enjoying yourself somewhere so much that even a wise-cracking little trash can stirs your affections?